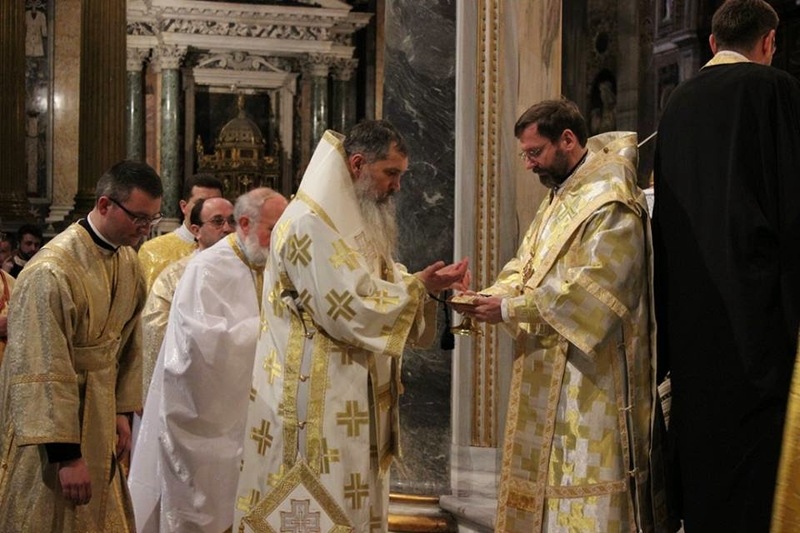 Last week, His Beatitude Sviatoslav Shevchuk, Major Archbishop of Kiev-Halych, led an “ad limina” visit of the Ukrainian Greek-Catholic hierarchy, of which he has been the head since March 2011. 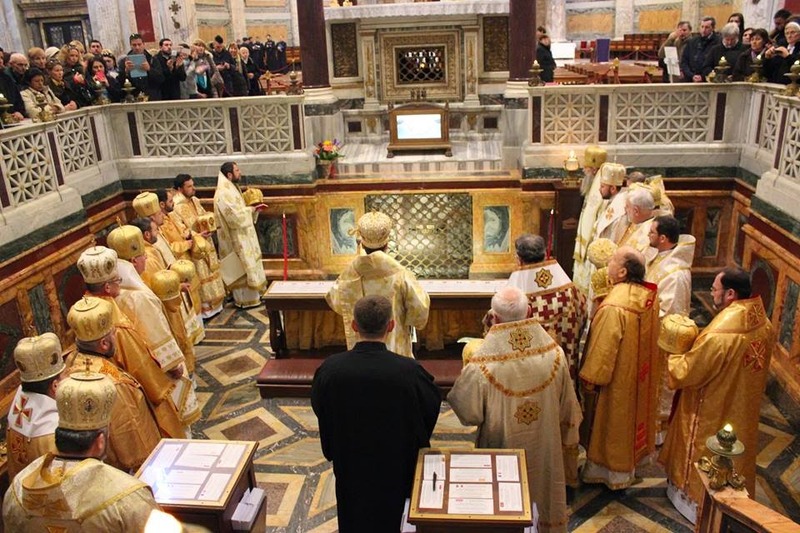 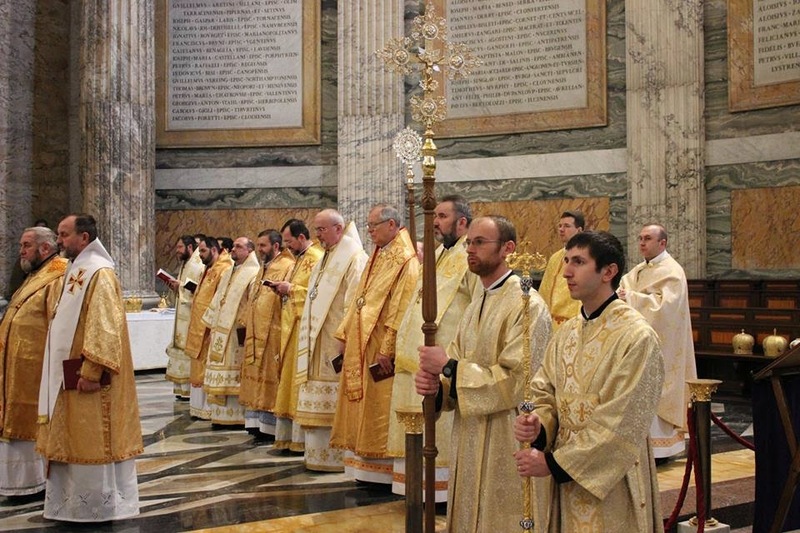 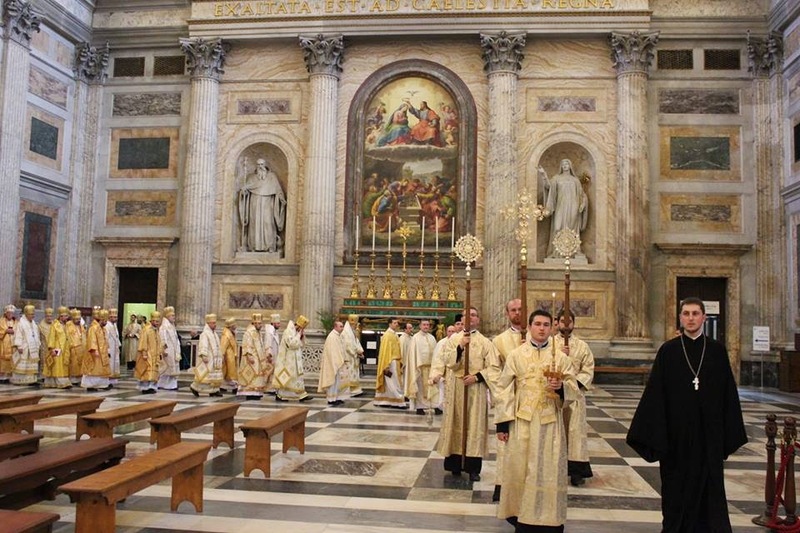 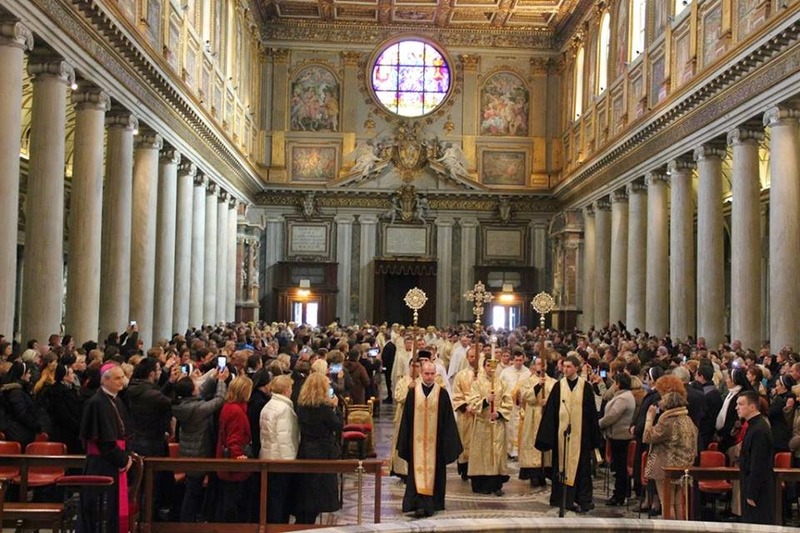 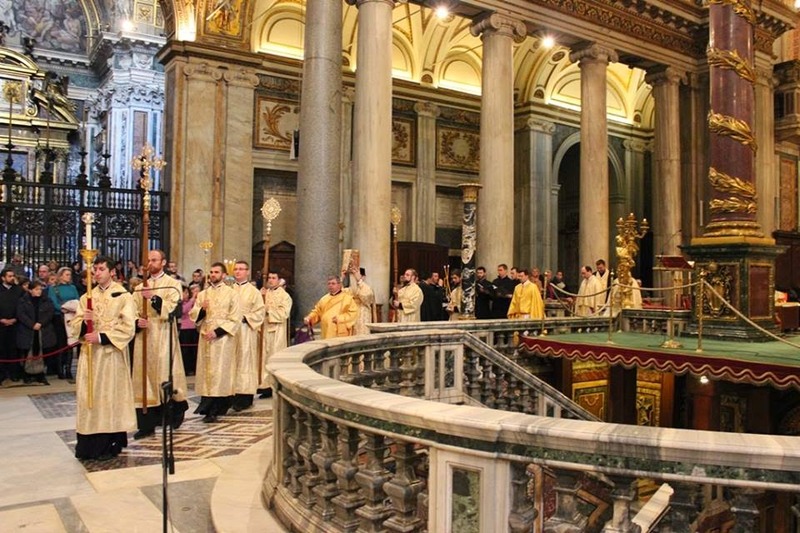 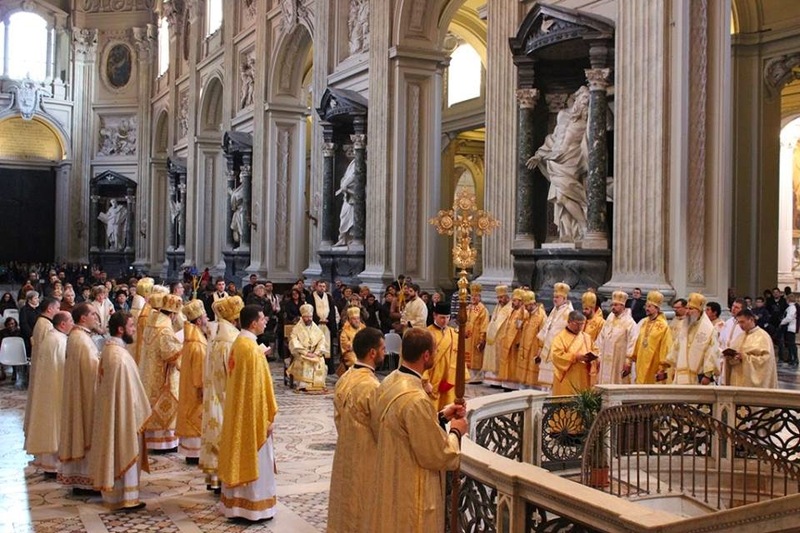 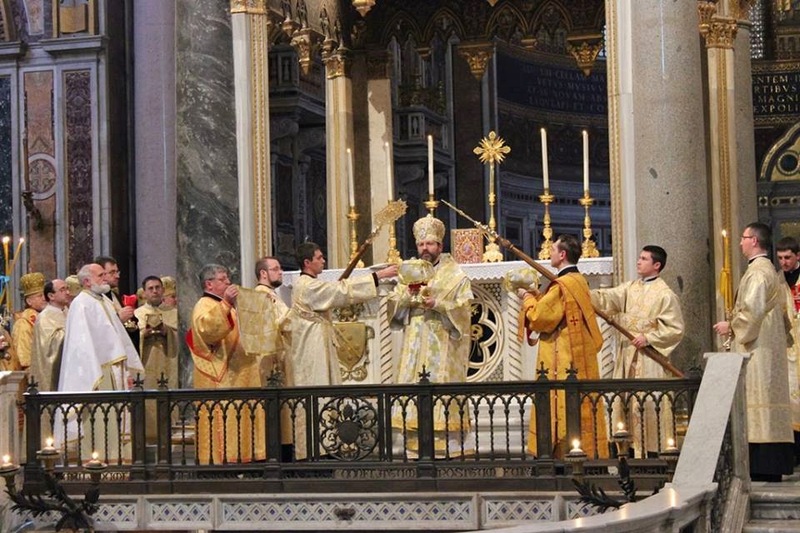 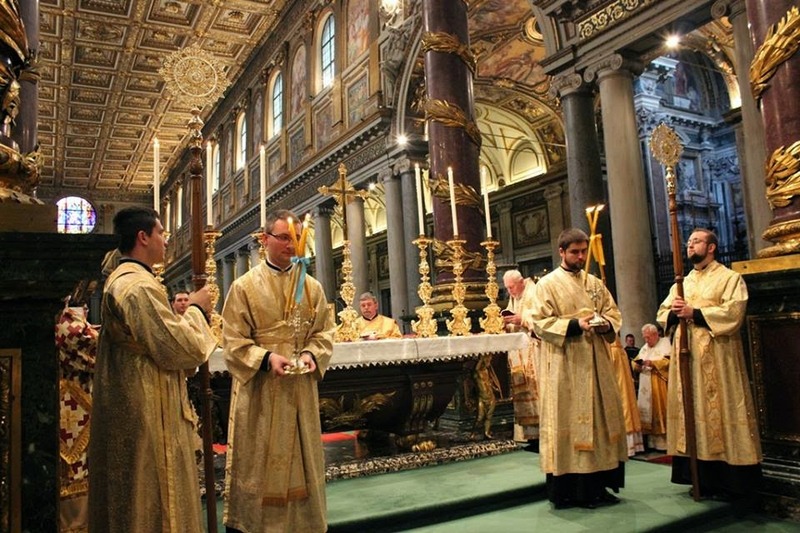 In the course of their stay in Rome, he and the other bishops celebrated the Divine Liturgy in a number of churches, including Saint John in the Lateran, the Pope’s own cathedral, St Paul’s outside-the-Walls, and St Mary Major. 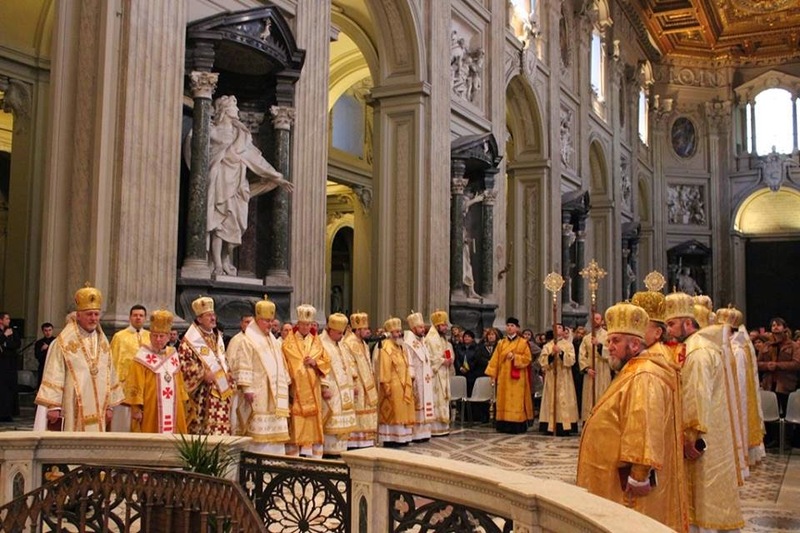 The Pontifical Ukrainian Institute of the Protection of the Holy Mother of God, (Папський Український Iнститут Покрова Пресвятої Богородиці) has posted a large number of photographs of these liturgies to their facebook page; you can see the complete albums at the following links. 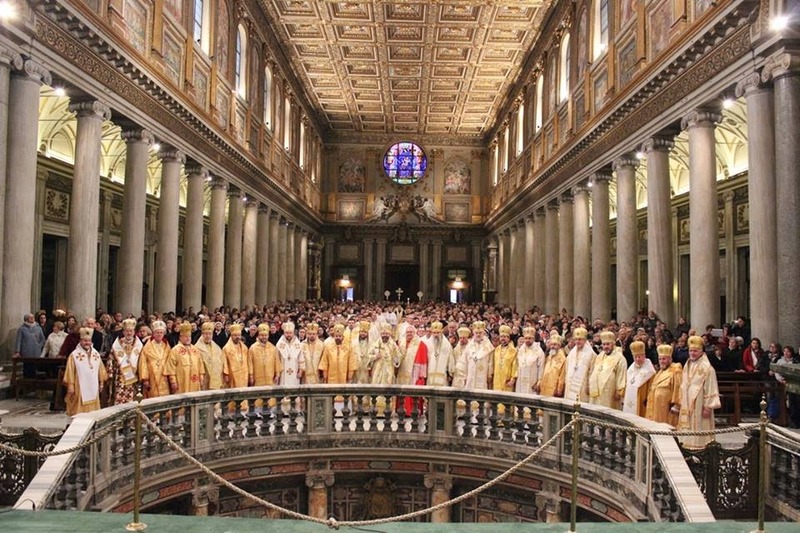 (first; second; third.) 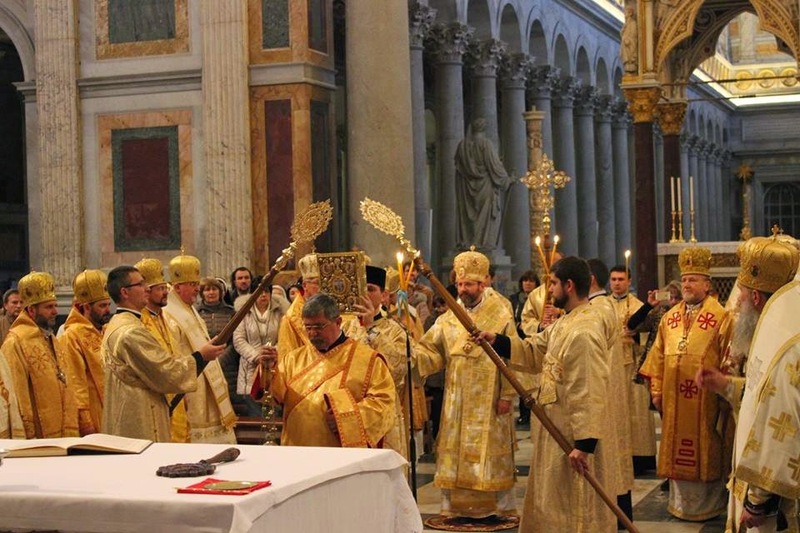 We are grateful for their kind permission to repost some of them here on NLM.